Business ownership. You can get in on a great idea or successful business that has a track record of success and a strong brand, and still run the business yourself. As with so many things, do your research. For example, a cafe must have a net worth of 500,000 dollars. If that isn’t where you’re at financially, look elsewhere. 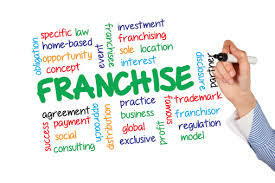 You don’t want to waste time dreaming up your plans to open a specific franchise, only to look at the fine print and realize it’s not a good fit. Reach out to the franchisor and other franchisees. You want as much detail and firsthand information as you can get about what it’s like to actually operate this franchise. There’s no substitute for face time with the people who’ve been there and done it before. Unlike many franchises which sell a product or experience, this type of franchise is going to depend heavily on its employees and therefore on its hiring practices.